*****ALL JOURNEYS READING UNITS ARE CREATED USING THE 2012 VERSION OF JOURNEYS. MOST OF THE SKILLS/STORIES ARE THE SAME FOR THE 2014, BUT NOT ALL. **** Please see the "download preview" for the break down of this unit. 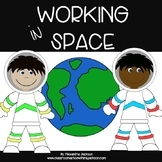 Working in Space Journeys Unit 6 Lesson 28 2nd Grade Supplement Act. 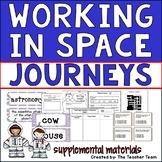 Journey's - Lesson 28 - Working in Space - wordsearch-2nd gr. Fun word search for Working in Space. 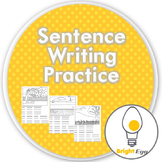 Your young students will be finding spelling and vocabulary words. 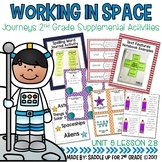 This is a copy of my lesson plans for Journey's 2nd Grade Unit 6 Lesson 28 "Working In Space" including whole group, small group, DI and RTI. 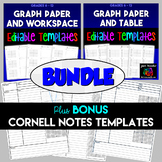 This Notebook file allows students to create diagrams with simple clicking and dragging of lines and shapes. 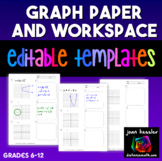 I use this file often in teaching diagramming, and you can see the results on my YouTube channel: Diagrammar. 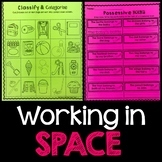 Morning Work, Space Theme! Numbers 0-10, 27 activities!